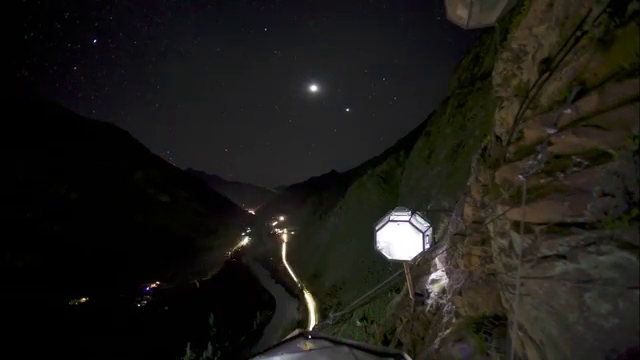 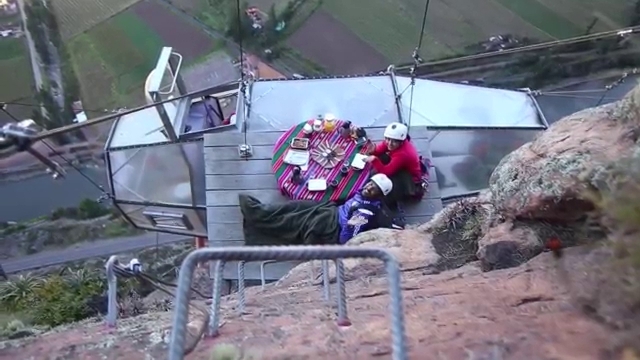 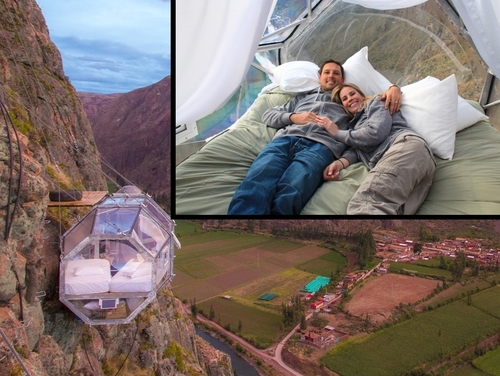 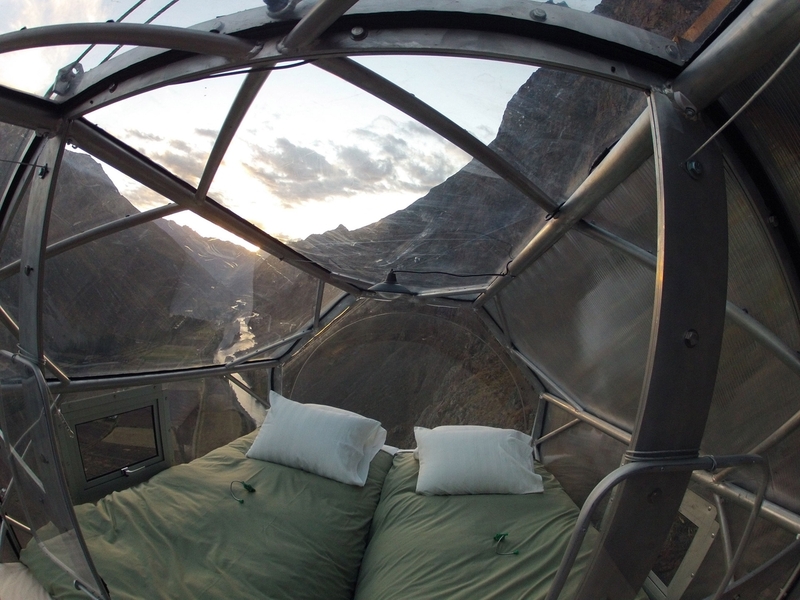 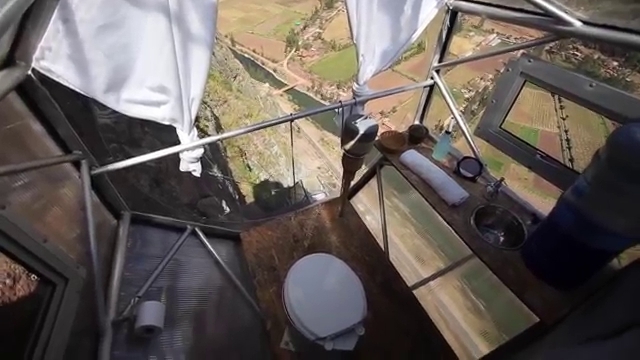 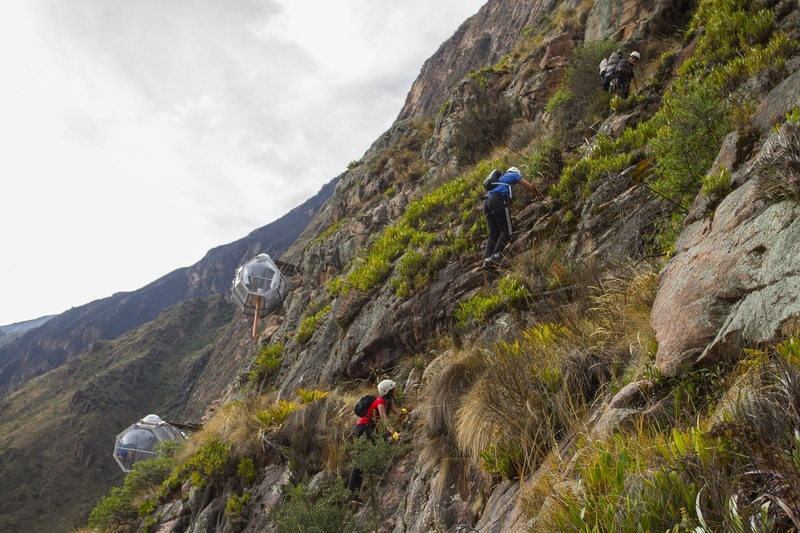 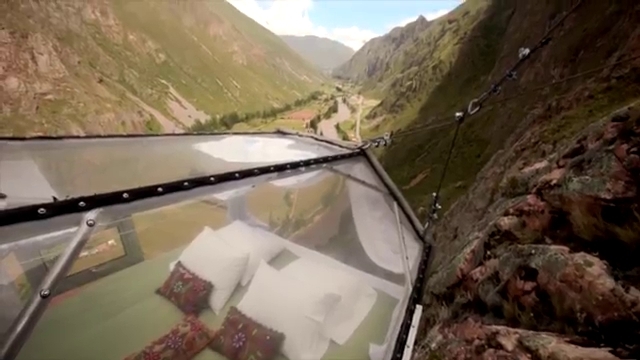 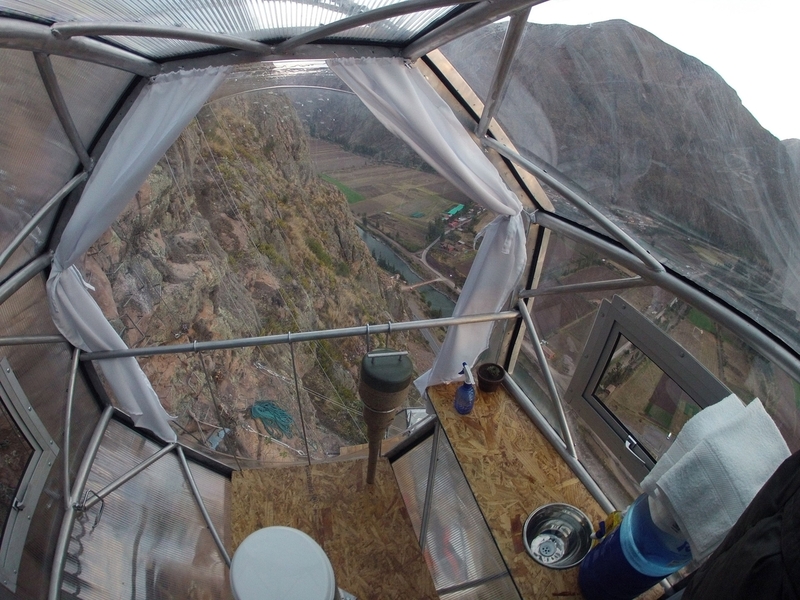 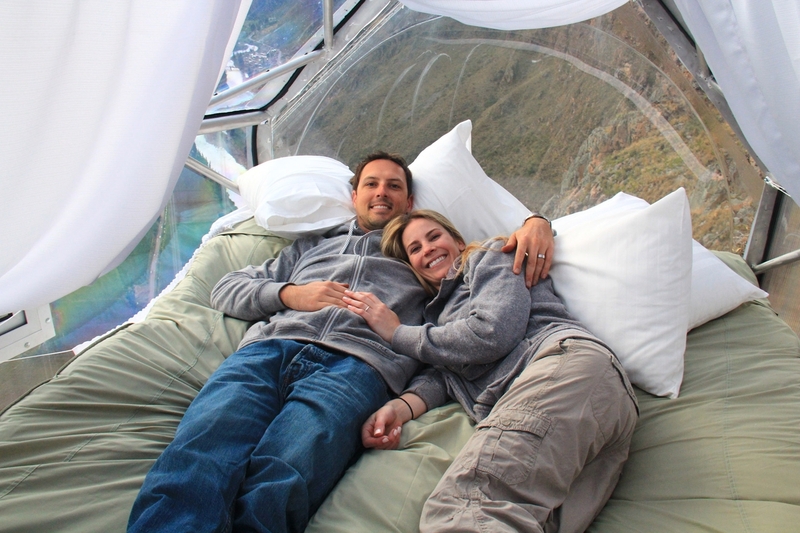 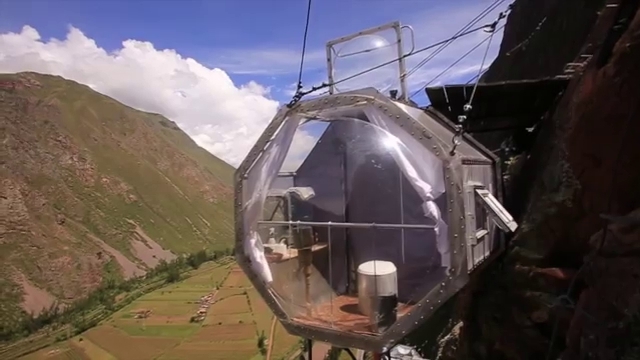 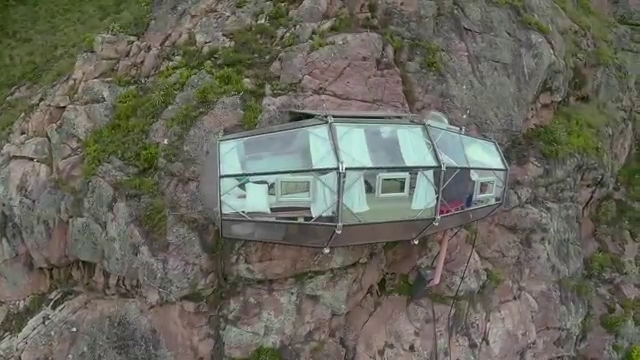 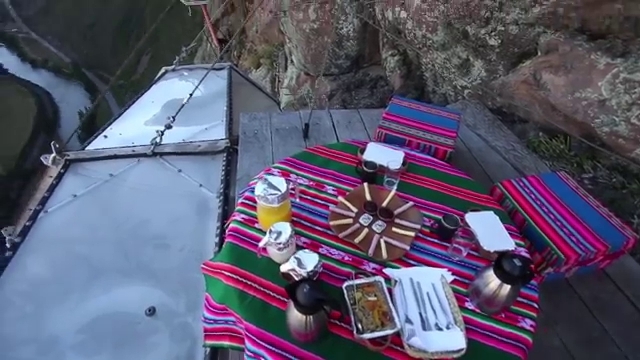 Skylodge Adventure Suites, consists of 3 capsules, 1300 feet (400m) high above the Sacred Valley in Cusco, Peru. 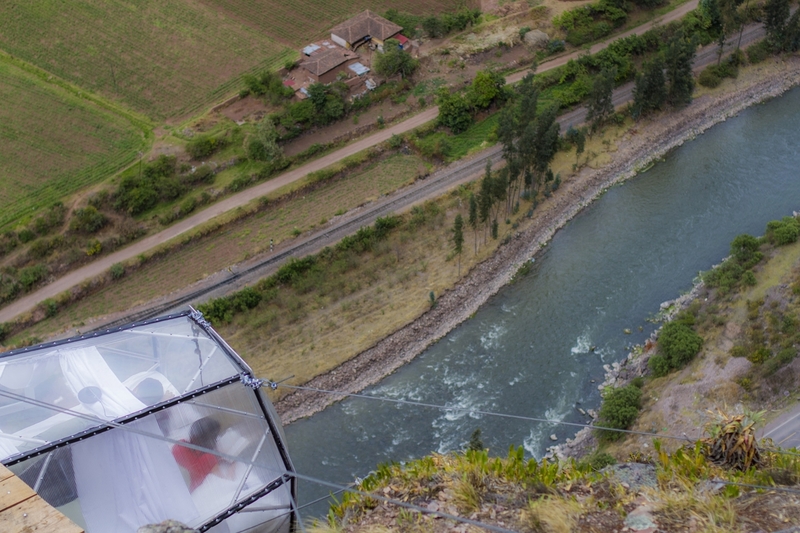 Each Capsule measures 24ft by 8ft - 192ft² (7m by 2.5 - 17.5m²) made out of aerospace grade aluminium and weather resistant polycarbonate, that allow 300 degree views. 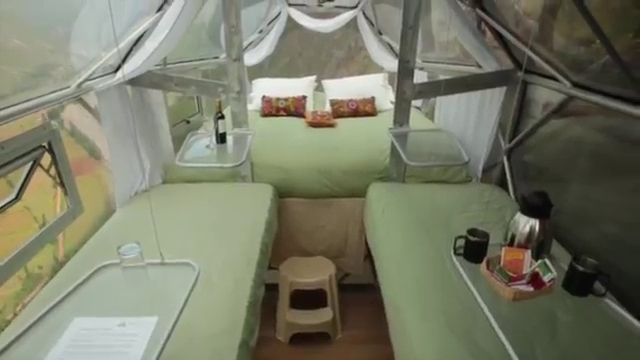 The capsule encompasses 4 beds, a double in one section, 2 singles, that double up as the dining area and a separate toilet area. 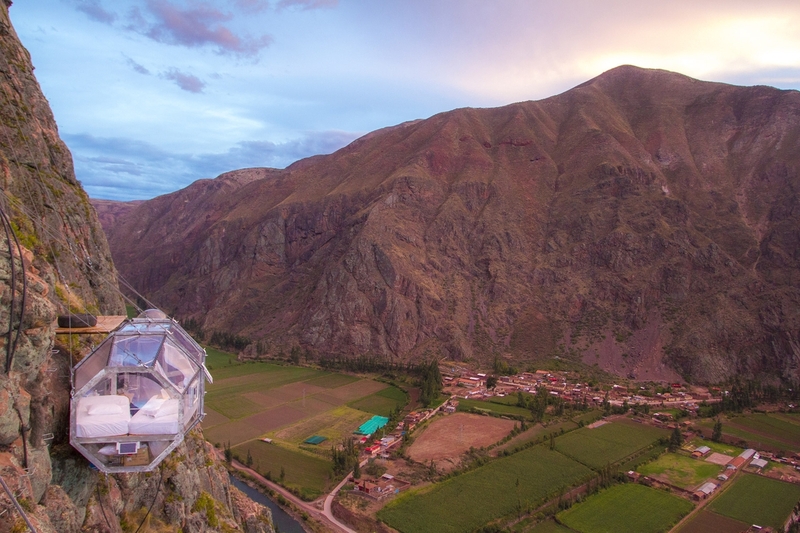 To get there, you have to climb 1300ft (400m) first, in the evening you get a gourmet dinner, in the morning breakfast and zip-line descent back to the valley. 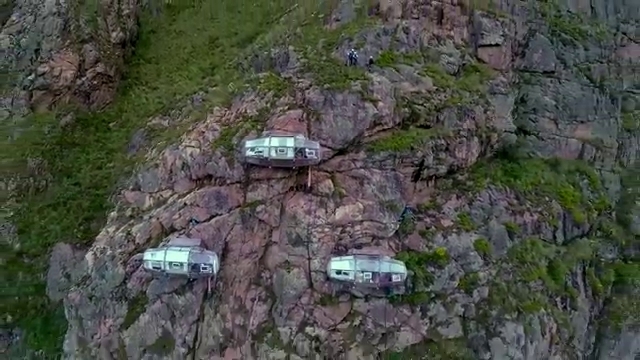 It is one thing describing it, but the video gives you such a better feel of this amazing experience, see below. 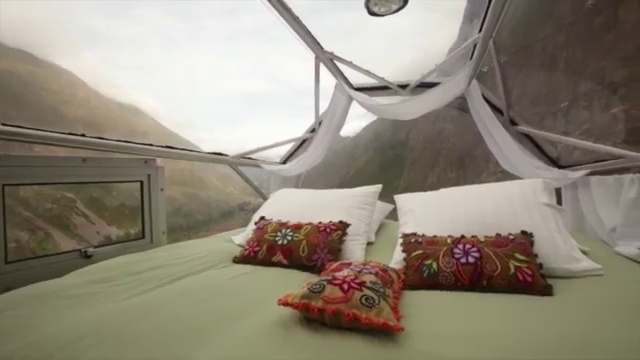 Skylodge Adventure Suites by Natura Vive.